Even in these modern times of internet and soft-copies, the importance of printed business cards cannot be neglected. 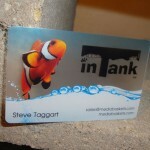 A business card is a card on which the person’s name, important information and business affiliation are printed. And as the competition among business is getting fierce with lots and lots of new businesses coming up, the importance of having a good and attractive business card has increased even more. A business card is the identity your business as it is one of the first thing most of your potential customers or partners would see. Thus a business card has a huge impact on the success of a business as it depicts the main concept, services and the overall worth of the business. 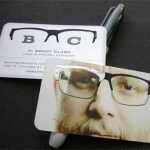 Business cards play the role of a connection between you and your customers. It doesn’t matter what type of business you are in, an impressive and attractive business card will always do you good and help you towards success. So check out this list of 35 Impressive Business Card Designs for brand Identity and get inspired!